Guide and advise – but remember children learn by their own mistakes and successes. Include the whole family in money management. Explain to children, monetary limits and why they cannot be violated. Let children know that parents limit their own spending too. It is also important for parents to explain in a concrete way how money works in the real world, and how thoughts and feelings weight into decisions; as well as how money is earned, spent, donated, shared, borrowed and saved. 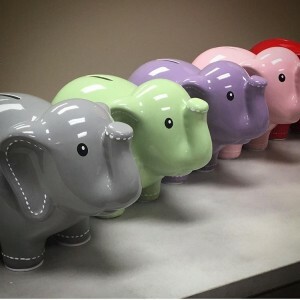 Because children generally start receiving money at a very young age, a great gift idea and opportunity for a fun way to save is by using a piggy bank. “Pregnancy Brain” is it real? There have been several studies that have compared non-pregnant women and pregnant women, and found the pregnant women preformed worse on short-term and free recall tasks. Another study showed that pregnant women scored on an average of 11.7 % lower on memory tasks and each subsequent trimester. Others believe sleep deprivation and the new found stress of dealing with a major life change could contribute to the absentmindedness during pregnancy. What could be better than a flower at a shower. 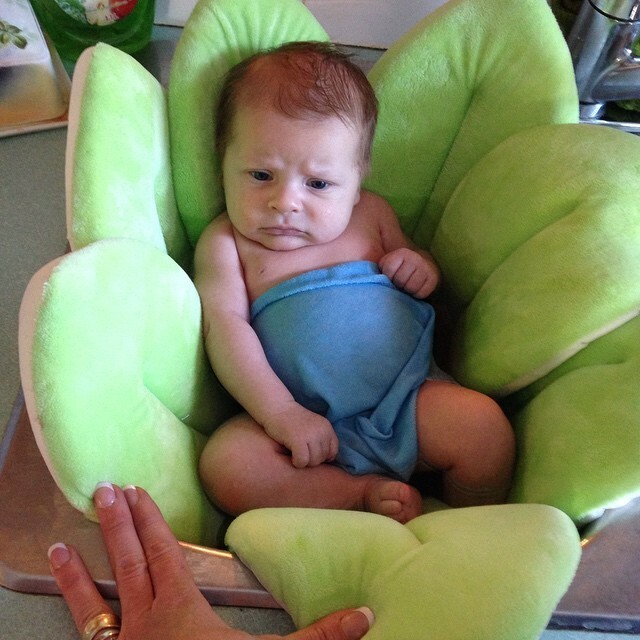 Blooming Bath is the baby gift that will have everyone talking. It fits into any sink and saves you from bending over the tub to bathe your infant. Winner of the “Parent Tested Parent Approved ” award. It will make bathing a pleasure for you and your baby. 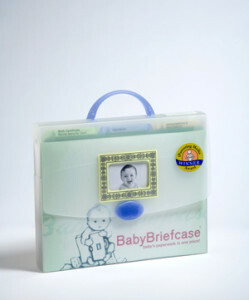 We now have at Baby Tyme Furniture the Baby Briefcase which won the iParenting Media Award! It is the perfect gift for expectant parents because it organizes and keeps baby’s paperwork all in one place. Keep track of birth certificate, social security card, and insurance information. Immunization and vaccination records easy to file. It has photo and name tag pockets, and a Thank You card tracker. This sturdy plastic briefcase is convenient to take with you or stores easily in a standard file cabinet. Give this unique gift at a shower and everyone will be saying “What a Great Gift”. One of the first signs of pregnancy may be a nauseous feeling. When your hormones are changing during pregnancy sometimes the sight or smell of certain foods can cause you to fell nauseated. Although it is referred to as morning sickness it can occur at any time of the day or the night. Morning sickness usually happens during the second through the sixth week of the pregnancy but can continue even longer before it eventually passes. Morning sickness is not harmful to you or your baby unless you experience excessive weight loss. If you have persistent vomiting you should see your care provider.